What Singaporean artist Vincent Leow's work explores the theme of loss while contemplating the impermanence of life, and he will exhibit 25 works dating back to 2007 at the iPreciation Gallery. Leow’s diverse artistic career that has taken him to places such as the United Arab Emirates (UAE) and this is evident amongst his works in the exhibition. For example, he tackles heavy issues such as censorship in the UAE. Closer to home, his work has also touched on issues attributed to colonialism and a deeply entrenched want for independence. What Veteran art historian, curator and critic T.K. Sabapathy, gives his take on local artist Cheong Soo Pieng, who has been lauded as one of Southeast Asia's most important artists from the post-war Chinese diaspora. Art history fanatics will also be able to gain a better understanding of his role at the forefront of East-West modernism in the 1950s at the STPI Gallery this weekend. What Returning this year with a programme that exceeds the previous editions, the Japanese Film Festival will see several film screenings of widely-loved classics and critically acclaimed features. Singapore-based cinematographer and lecturer, Hideho Urata, who won the Golden Leopard award at the 2018 Locarno International Film Festival, will also be giving a short masterclass. Accompanying him will be director Yeo Siew Hua, will also be present to give insights into the making of the film. Film buffs will be able to attend screenings as they take place at Shaw Theatres Lido, Scape and The Projector. 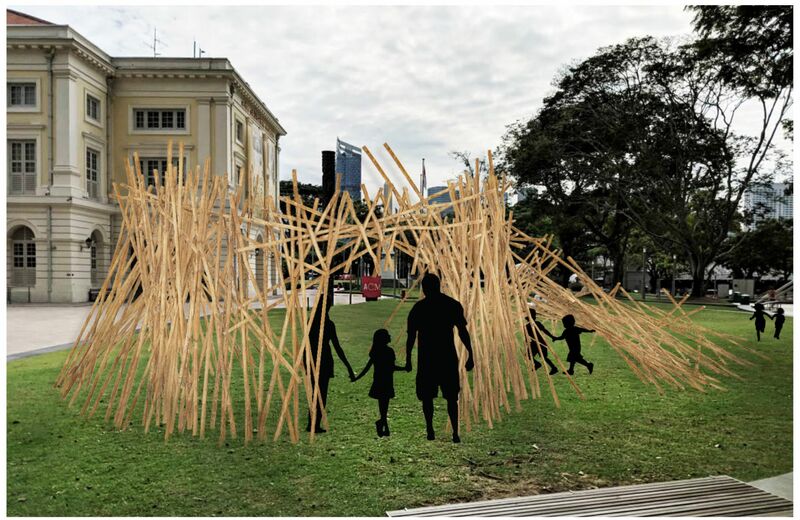 What If you find yourself in the Civic District (a cluster of cultural and historic buildings around Singapore River) this weekend, immerse yourself in the experiential installations scattered around various cultural institutions and their surrounding spaces, as the first edition of Light to Night Festival kicks off Singapore Art Week this year. Anchored in the reflective theme of Traces and Echoes, watch entire facades of buildings transformed thanks to colourful projections, and listen to an intimate narrative of musings from yesteryear along Esplanade Park.